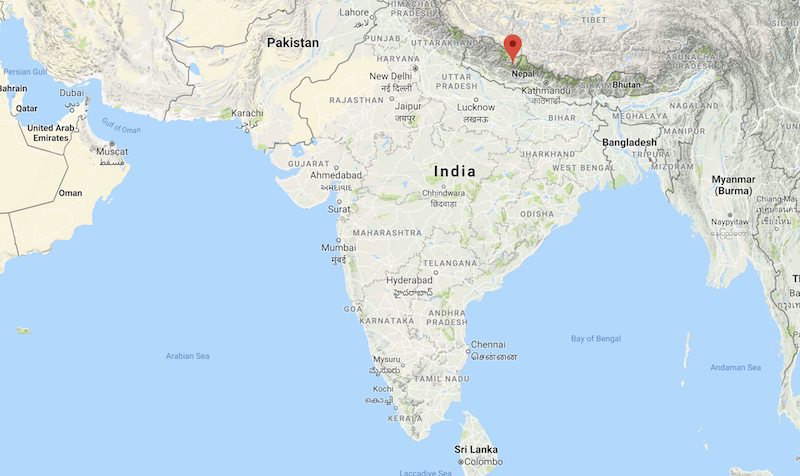 UPDATE: 15th October 2018, 0430 PST: The death toll of the violent storm in the Himalayas has risen to 9, officials report. 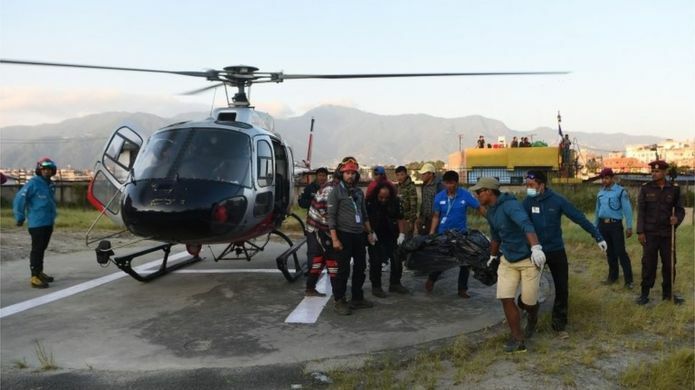 The bodies of the nine climbers who died when the powerful snow and ice-storm hit their camp on Mount Gurja in Nepal have been retrieved, reports the BBC. The party of five South Koreans and four Nepali guides were found scattered across the base camp near Mount Gurja, a 23,600ft (7,193m) high peak. They were found to have suffered broken bones and head wounds in Friday’s storm in the worst climbing accident to befall Nepal in 2-years. “It seems that seracs [glacial ice] and snow fell from high on the mountain and the strong gusts of winds from that hit the campsite, throwing the climbers off,” one rescuer, Suraj Paduyal explained. “The camp was completely destroyed.”. 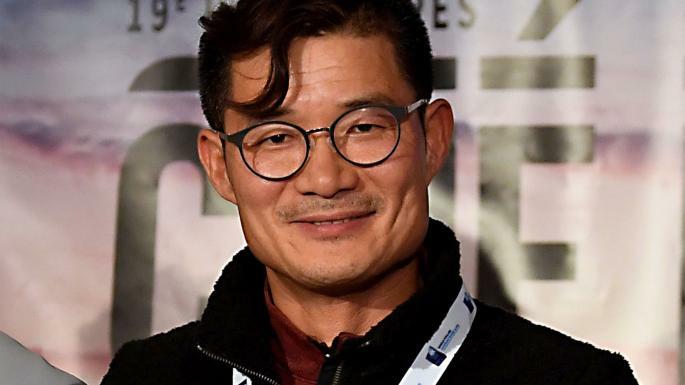 Experienced climber Kim Chang-ho, the first South Korean to reach the summits of the world’s 14 highest mountains without using supplemental oxygen, is confirmed to be among the dead. The climbers – led by Mr. Kim – had been waiting for a window of good weather so they could reach the summit when the storm hit Friday. Original Post – 13th October 2018: 7 climbers are confirmed dead after a powerful snowstorm hit them at base camp on 23,600′ Mount Gurja in the Himalayan Mountains in western Nepal on Friday, according to local police. 2 other climbers are missing and feared dead. 5 South Korean climbers and 2 of their Nepali guides died in the storm. A helicopter rescue crew flew over the remains of the destroyed camp and was able to visually confirm 7 bodies near the camp. 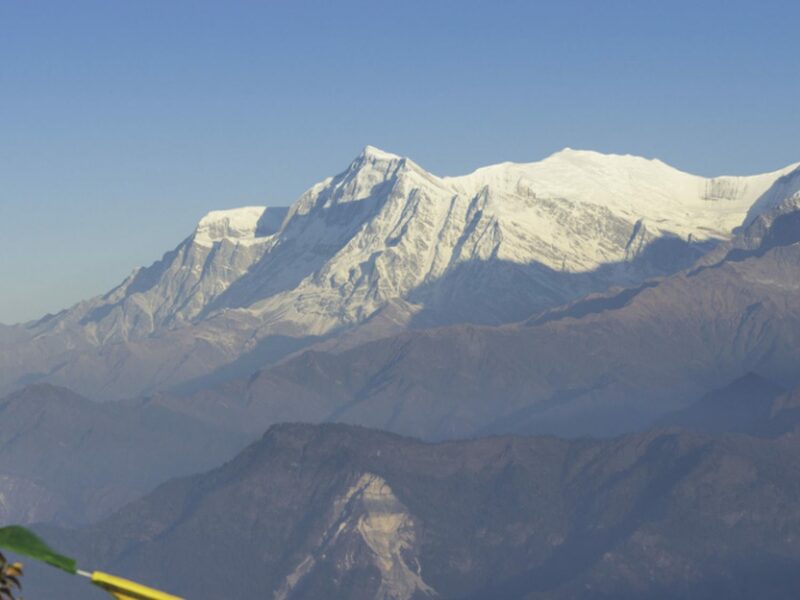 Two climbers are yet to be found and are feared dead. Local media is reporting that Kim Chang-ho from South Korea is one of the deceased climbers. Kim Chang-ho is the fastest person to climb each of the 14 highest mountains on Earth without using supplemental oxygen. Officials are planning for a recovery team to be sent on Sunday if the weather cooperates. Expedition organizers lost contact with the group for 24 hours. This Korean expedition embarked on this climb on October 7th, 2018. Map of location of Mt. Gurja, Nepal. The Korean team was waiting for a weather window to head for the summit when this deadly storm hit on Friday. The base camp they were at when the storm hit is located at 11,500′ and is one day’s trek from the nearest village. Mount Gurja is located in Nepal’s Annapurna region. According to the Himalayan Database, no-one has summited Mount Gurja since 1996. Only 30 people have ever summited 23,600′ Mount Gurja. Over 8,000 people have summited 29,028′ Mount Everest, Earth’s highest peak.